A hamburger should be more than ground beef! This burger takes many of the classic spices of middle eastern cooking such as cumin, coriander, and oregano and mixes them into the beef along with garlic, salt, and pepper. It has a touch of baharat, but you can skip it or substitute a 1/4 teaspoon of cinnamon. The result is a burger that is well flavored inside and out! Add the ground beef, ground cumin, garlic powder, ground coriander, dried oregano, black pepper, salt, and baharat, if using, to a bowl and mix well (clean hands work best for this). Place the patties on your grill pan (indoor or outdoor) and cook the burgers to your desired doneness. 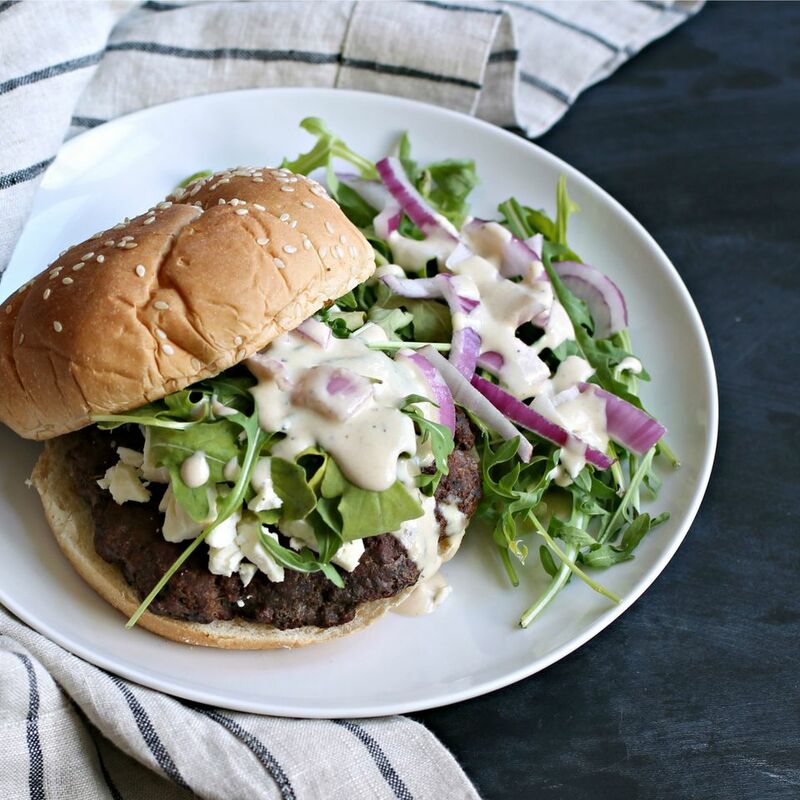 Assemble the burgers on the buns and top with an equal number of the greens, crumbled feta cheese, red onion and tahini sauce. While the baharat is optional, we highly recommend using this as it adds a sweet and smoky flavor that is divine!